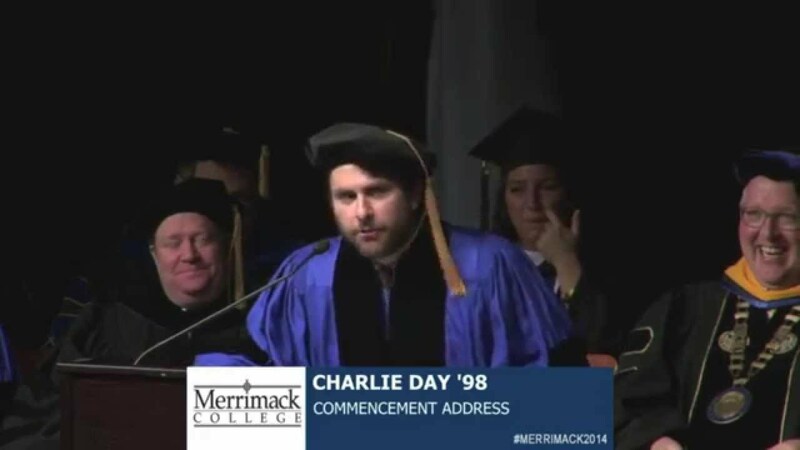 Actor, producer and screenwriter Charlie Day, a 1998 graduate of Merrimack College, delivered the keynote address at Merrimack's 64th undergraduate commencement ceremony. "You can not let a fear of failure or a fear of comparison or a fear of judgement stop you from doing the things that will make you great. You can not succeed without the risk of failure. You can not have a voice without the risk of criticism. You can not love without the risk of loss. You must take these risks."